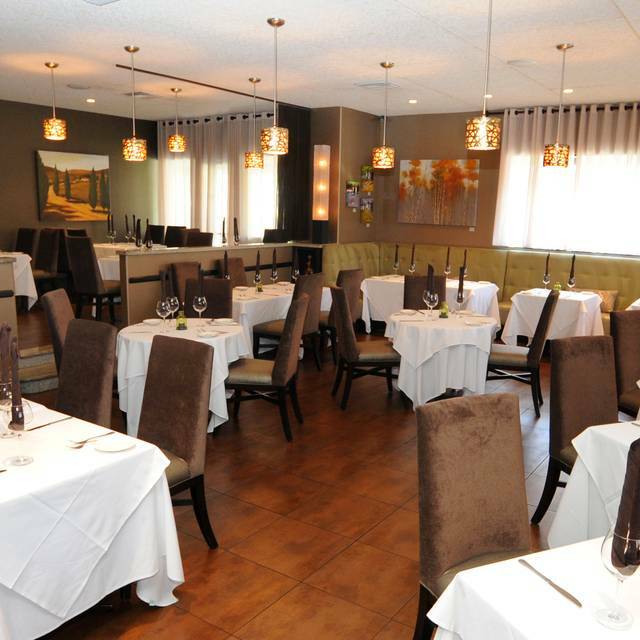 You must make reservations at least 5 minutes in advance of the time at il Barone Ristorante. There is complimentary Valet parking during Lunch hours. Self Parking available during Dinner hours. Chef Francesco Barone has created a menu representative of his Italian heritage which emphasizes fresh high quality ingredients prepared with care and served in a modern and elegant atmosphere. A credit card is required to hold the reservations and no outside wine will be permitted. Our first time at il Barone, but friends had highly recommended it. Their new location - they refurbished an old Coco’s. We went in at 6:00, and they were empty. But by the time we left, they were busy. The atmosphere is the typical ‘American / Italian restaurant’. Not sure is the staff is really Italian, or just pretend to be. Not an issue. The atmosphere is very welcoming. The wait staff was very attentive, until it got busy. Then, they seemed overwhelmed. Thus making the dinner a bit long. I thought that a ‘simple, date night’ should not take over 2 hours. The food was excellent. The portions were a bit small. But, nothing out of the ordinary. I’ll definitively be back. Also, I’m now interested in the other property that they own - Ti Amo. Always a great meal and experience. I do not do Veal or Fish, but they had a nice selection of chicken dishes and pasta. I had Chicken Milanese and it was really good, cooked perfectly. 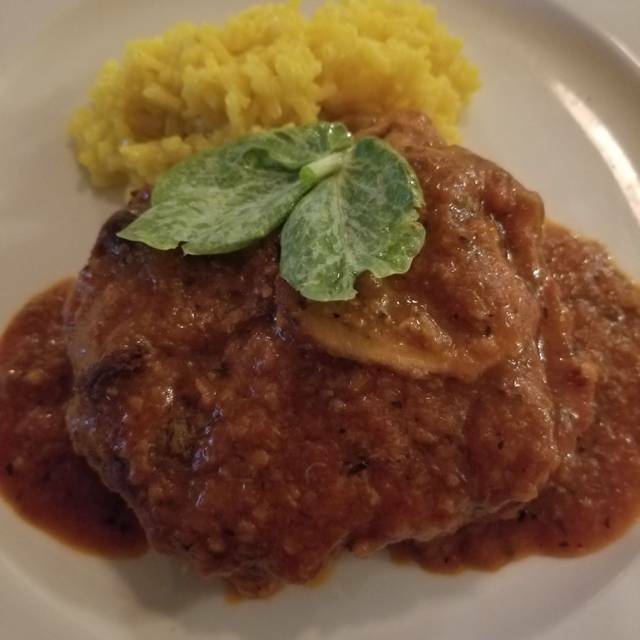 Ordered chicken marsala, received veal. I do not eat veal. No apology given. Then ordered chicken parmigiana...came out inedible, tough and chewy. Super expensive. Really like the new location. Tables are more private and overall noise level is excellent because of the break of the room into two areas. Food was spectacular, try the white fish carpaccio wonderful. The tomahawk streak was a hit, the truffle ravioli and the fish stew were all excellent. It was delicious! Our waitress was so knowledgeable and fun!! What a wonderful evening! The food was scrumptious, the service was excellent, and the ambiance was perfect! 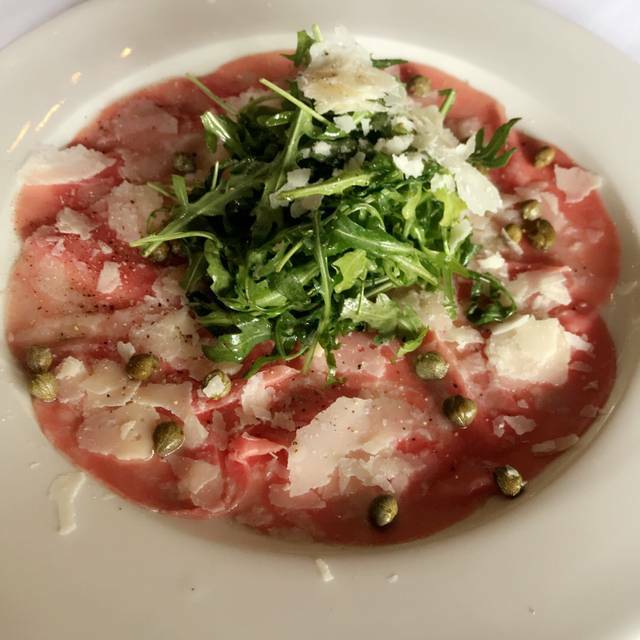 As always il Barone delivered a perfect experience. From the welcome to the food we had a blast! This is by far the best Italian food in SoCal... PERIOD. Great job to the team. Birthday dinner. Acknowledged it when we signed in. After that, literally the worst service we have ever received. Long, long wait times between any waiter appearances. After two hours! of frustration, they brought the dessert menu and never offered anything for the birthday. It was all a shock. This is a great restaurant. Martine has been our waitstaff for every visit and she is attentive and excellent. The service is great and the food is good. The noise level grows as the evening wears on. Been here a few times - fantastic food - amazing service - all around wonderful experiences each time. Great food, great smiles, great service and attention to detail as always. Outstanding food and service. And very quiet on a Sunday night. 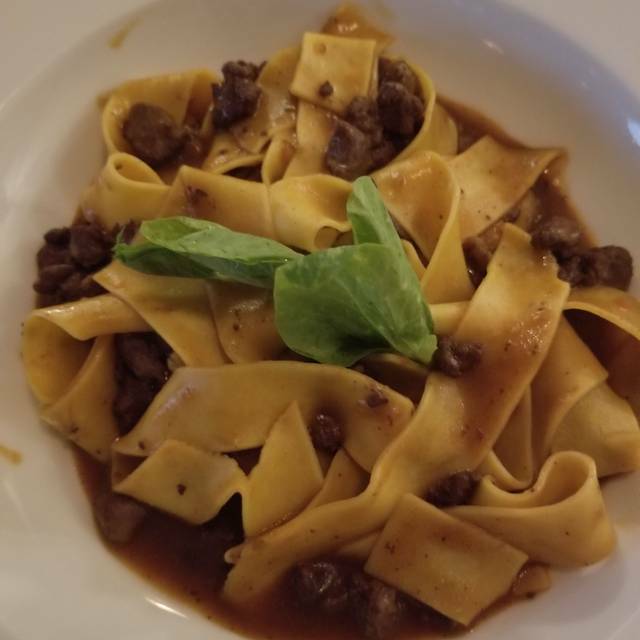 Overall this is a very good Italian restaurant with a warm, comfortable atmosphere. We loved the old restaurant and service was terrific. The food continues to be terrific. But for the 2nd time, we experienced the same annoying service issues. After being greeted by the maitre d, we waited about 10 minutes or so to be seated; not because a table wasn't available; just because they can't get their act together for some unknown reason; it is annoying. After being seated, it took more than 5 minutes to be greeted by a waiter...a kiss of death. Then add more than 10 minutes until we actually received our drink. Very professional group in one of OC’s best restaurants. Fantastic service and food you’ll find nowhere else. Fabulous evening as usual, on a busy Saturday evening. Food was delicious. So special for our Birthday gal. We all love Il Barone Ristorante!! Thank you for a great evening. Everything was fine except the markup on an average bottle of wine was 300% (retail is about $26 and price there was $80.) If we go again we will definitely bring our own wine and pay the $30 corkage. Very good ambiance and attentive service. Good place for business lunches. The veal masala came as a shank. It had very little taste and was extremely tough to cut. My spaghetti (veal and beef) was delicious, perfect. The wine was excellent. The ambiance was ok. I ate there when it was a Coco's and its tough for me to drop the image. The service was very good. Simply amazing. Best italian romantic spot. Had a wonderful evening. Thank you il Barone. Had dinner there. Good experience but very costly for pasta dishes (all between $21-$30+ for just pasta and sauce). Good wine selection. Meat and fish entrees were well over $30. Nice atmosphere and good service but it’s quite expensive for what you get. Big fan for 10+ years. First time in new location - Valentine's evening. New room is bigger and roomier so would expect different feel. However, warmth and intimacy of former environment feels a bit sacrificed....Is it the industrial -look ceiling tiles? High ceiling? More hard/reflective surfaces? ?....whatever the contributors, detracts a bit from ambiance. Service and food still wonderful and overall still a fave. Maybe some attention to environment/experience will be invested. My evaluation of il Barone might be different than most since we went on a special ocasion, Valentines Day. I made my reservation on open table with the expectation of a $$$ price point ($31-$60 per person ) and their normal menu. When we arrived, it was a fixed menu and the price point was well over $85 per person. - our service was less than stellar, we sat between salad and enteee for well over and hour. We had to stop a busser to ask for help since our server was no where to be found. After acknowledgment of our delay, the kitchen got us our entrees about 20 minutes later. - all in all, we arrived at 5:15pm and didn’t leave until 8:00pm with unfulfilled appetities and down $291 in total. Maybe on a normal night il Barone is a good experience, not for us. My husband and I booked dinner here at the last minute for Valentines Day. We didn’t mind eating early at 5 pm as there were few spots left. The restaurant filled up quickly. We had heard good things from friends already. It was decorated really cute with the Valentine theme. We were warmly welcomed, the server was prompt and courteous. All of our meals were delicious and the portions were just right. We would definitely recommend this restaurant to friends in the area and plan to go back ourselves and bring all of our children next time. Buon appetito and enjoy. 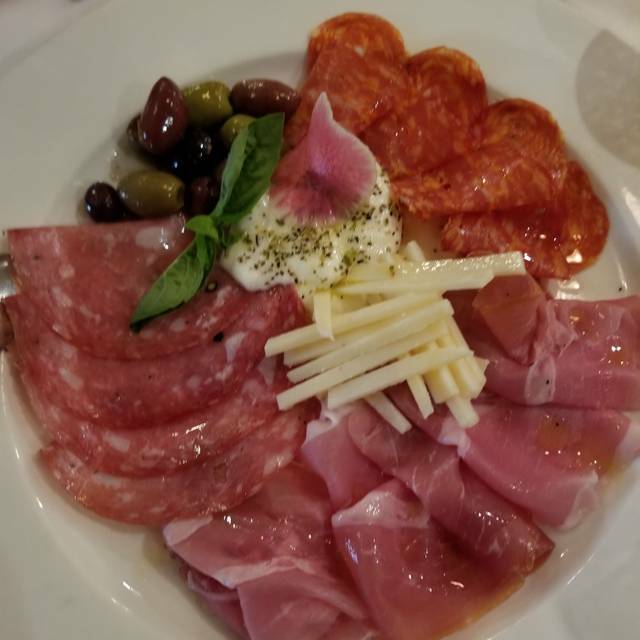 Italian food is our favorite!!! Food was great. We’ve been going for years but definitely preferred the old location. The new location is literally an upgraded Coco’s. Service wasn’t very good. We brought our own wine but were told we couldn’t open it. However, we witnessed at least three other couples that were allowed to open bottles they brought. Guess they were more important than us. Probably won’t ever go back again. Chef Franco was on his game last Monday evening. If I could give the food six stars, I would. Love the new restaurant location and wish them the best. 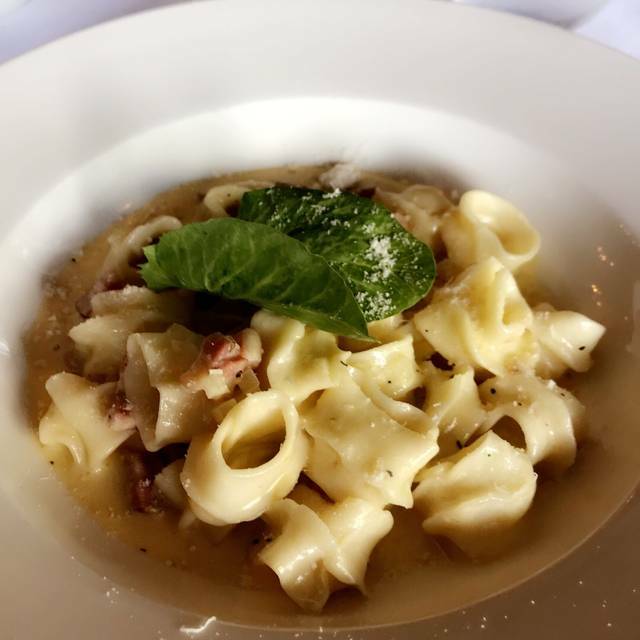 We had dined at Il Barone in their previous location and found the new restaurant even better. The food is always great and the people incredibly friendly. Food and service are excellent. It is a special occasion dining place.